Blog — Focal Point Productions, Inc.
Last week on April 9th, I was invited to give a presentation at the Baltimore Public Relations Council’s 3rd annual Social Media Spring Training event held at the Loyola University Maryland Graduate Center. Per their website: BPRC provides a forum for public relations professionals to exchange ideas with their peers and to mold ethical standards for their work, thereby improving their effectiveness. As one of five presenters giving information to the audience on social media, I enjoyed giving everyone key information on Producing a Successful Facebook Live. Other topics at the event included demonstrating social media ROI, and infographics for social media. Attendees were able to leave with new skills that helped them to strategize and expand upon their social media knowledge. Later that night, I was able to give another talk in length on Live Streaming for the Baltimore Videographers Association. Per their website: The Baltimore Videographers Association (BVA) is a non-profit organization of video professionals in the Greater Baltimore Area. Our members are dedicated to the improvement of our industry, and the creation of a sharing environment among its members. As a group, we pursue the betterment of our industry and of our individual knowledge. Giving information on Successful Live Streaming as a speaker, consultant or to train is enjoyable to me because I am able to speak more about this passion and platform, and help others learn more about a topic that can be extremely useful for their brand. I spoke about the process of a live stream project, different ways to upload video, and what types of equipment are needed to ensure a live stream that goes smoothly. Lastly, I went over some of the types of problems that you may encounter doing a live stream as well. By discussing the project and then troubleshooting towards the end, the audience left with not only knowledge of how-to but better expectations for their project. Today Focal Point Productions returned to Towson University to produce a video for the Student Government Association (SGA). Focal Point has produced this video for 18 of the last 20 years!! Focal Point's team pulled off a great production for the GBMC - Comprehensive Obesity Management Program (COMP) Annual Reveal Holiday Party, which took place on December 13th at Martin's West. 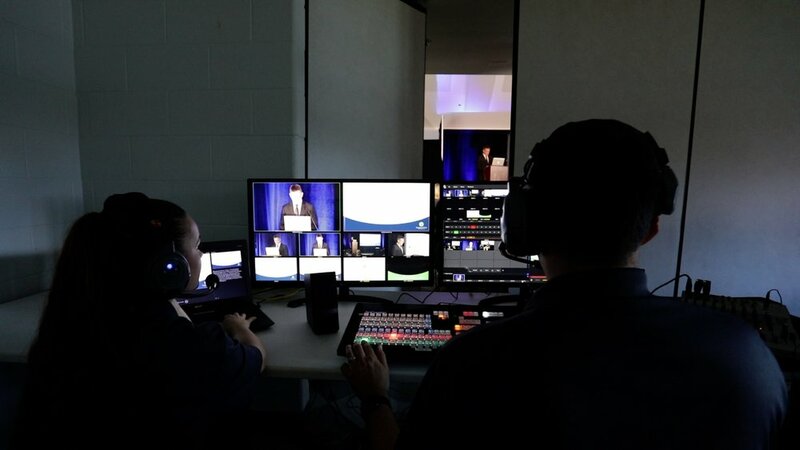 Our crew of 7 provided IMAG and livestreamed the event on Facebook Live, using a TriCaster TC1, 6 cameras, a crane, 20+ videos, 50+ slides, and other graphics. 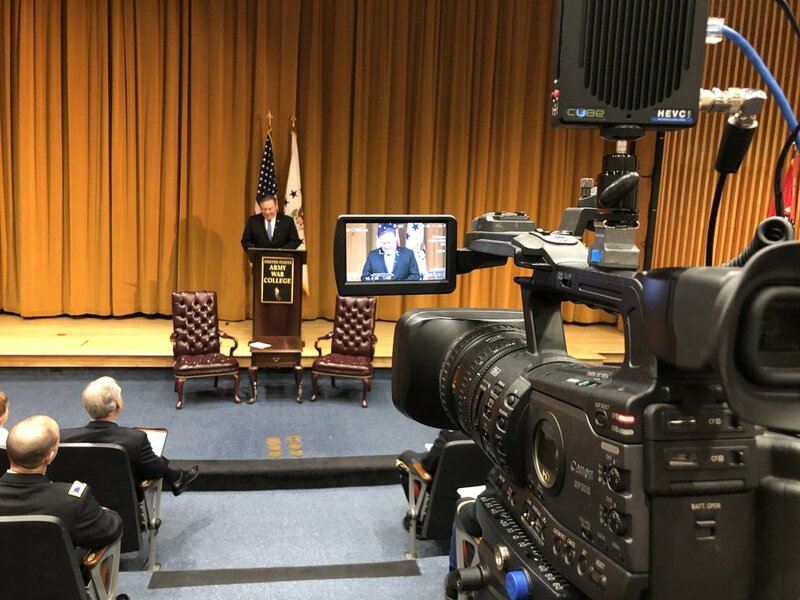 On November 15, 2018, the crew at Focal Point Productions was hired to record aTedX Talk style annual meeting for medical institution. Originally this was supposed to be "Live to tape" and record each camera ISO for editing. But at the last minute (due to an unexpected snow and ice storm) the client asked about live streaming - which we did. Audio and lighting done by a 3rd party vendor. We supplied two 65" TVs. ME4 and Mix 4 on the TriCaster fed power point slides to the 2 TVs. We had a ton of fun recording the B&O Railroad Museum Polar Express train ride on Friday, November 16th. Unfortunately all rides for 2018 are sold out. But if you wait a week or two, you can catch our special video! With only a few days notice, the XLH Network contacted Focal Point Productions to live stream their annual symposium taking place at the Hyatt Regency in Baltimore. XLH (X-Linked Hypophosphatemia) is a rare genetic disorder that affects about one in 20,000 people. Focal Point live streamed one day of the conference (morning and afternoon sessions) using a Blackmagic video switcher with 3 cameras and power point slides. PSAV (the hotel’s AV company) supplied an audio feed and 5Mbps upload internet connection. People from all over the world tuned in to watch the live broadcast, which was streamed to the non-profit’s Facebook page. Within a few days after the conference, the two Facebook Live videos had 9,000+ minutes viewed, 400+ post engagements, and had reached almost 5,500+ people. 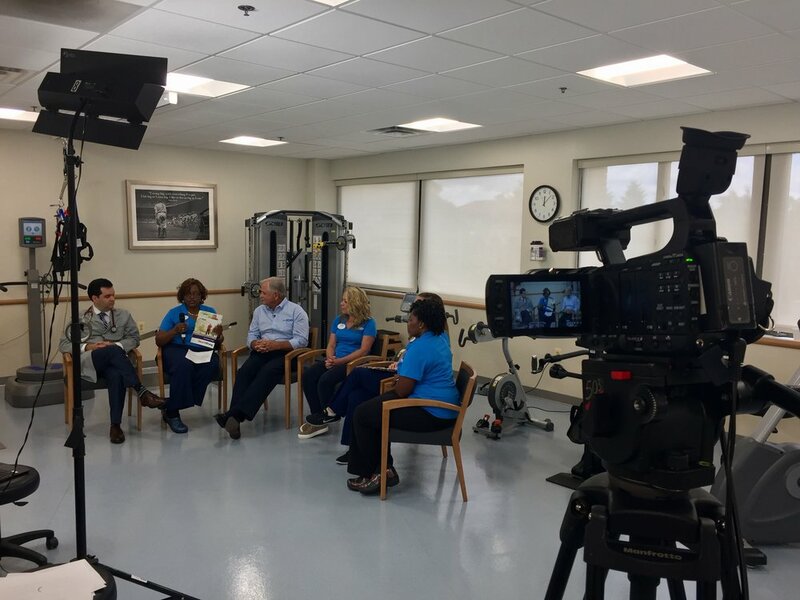 On September 25, 2018, the team at Focal Point Productions produced a Facebook Live show for MedStar Health. This was our 15th live webcast for MedStar. All webcasts and live streams do not have to be open to the public or broadcasted on Facebook. Some are meant to be kept private. Focal Point recently produced our 4th town hall webcast for Sheppard Pratt Health Systems. The quarterly broadcasts are intended for the thousands of Sheppard Pratt employees across the state of Maryland. Each webcast has been at different location - Towson, Baltimore City, Rockville, and Point of Rocks. The September 2018 included 5 cameras, 3 microphones, several lights, titles, power point slides, and was streamed using uStream. Having a production studio makes recording multi-camera training videos so much easier. A three camera shoot with multiple teleprompter and lights can be very complicated and expensive to do onsite. But with a studio and video switcher, we are quickly and easily able to set up our studio for such a project. Within a 5 hour shoot and a few hours of editing, we completed 7 training videos for a local company last week. The week of September 24th will be very busy for the team at Focal Point Productions. We are producing 3 Facebook Live broadcasts! Each broadcast takes a different approach and style - from extremely complex with the top-of-the line NewTek TC1 and multiple cameras to a single laptop computer and camera running Wirecast 10. And in the middle we are using the Blackmagic ATEM switcher with 3 cameras. Focal Point Productions assisted the great team at Event Tech by providing an HD IMAG (image magnification) for Johns Hopkins University Class of 2022 Convocation on August 29th at the Homewood Campus. IMAG is often used in large venues when the audience won't be able to see the speakers on stage. A camera's video is displayed on large screens so that everyone can see the action, no mater their seat. Event Tech supplied 2 - 10k lumen projectors with large screens, in addition to supplying the stage, audio, and lighting. Focal Point's video feed was also supplied to another vendor supplying the University's live stream to Facebook and uStream. August 16th marked our 2nd Facebook Live broadcast for the week. This Baltimore live streaming production took place at Blakehurst Senior Living. The facility was holding their 25th anniversary celebration. Some residents were not able to attend for medical reasons. Focal Point was brought in as live streaming specialists to broadcast the event so these residents, family, friends, and neighbors could watch the event live. 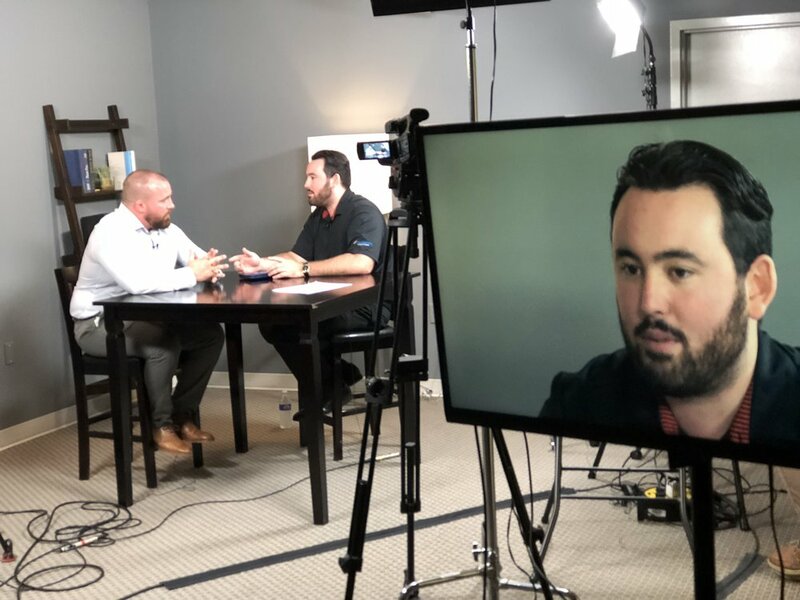 On August 14th, Focal Point Productions teamed up with ZMB Media to produce a Facebook Live Broadcast for Future Care Health Management. This was the first in a series of four live productions for the company's "Vital Strong" initiative. Rick Dempsey hosted the 30 minute broadcast, which was live streamed to the Future Care Facebook page. Focal Point provided all equipment, including a Blackmagic switcher, four cameras, wireless intercom, audio, lighting, and much more. 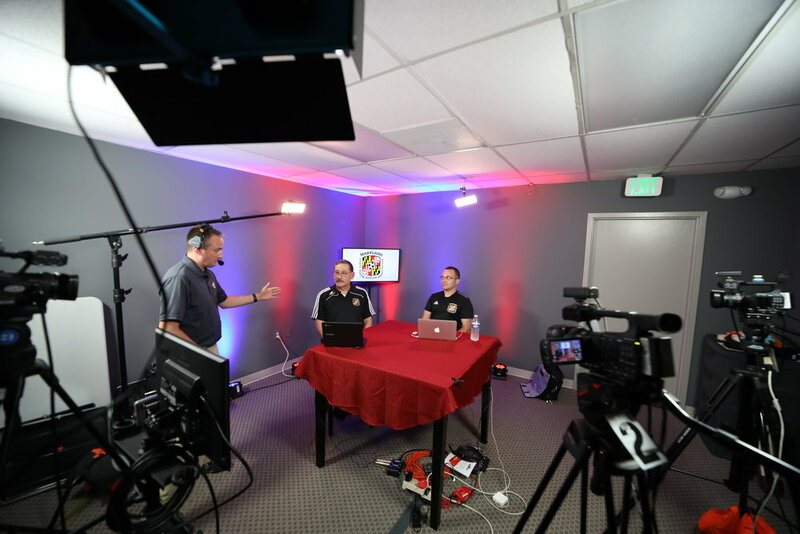 On August 8, 2018, Focal Point Productions produced a Facebook Live broadcast for the Maryland State Youth Soccer Association. The 25 minute training and educational live webcast was aimed toward new players in the Olympic Development Program (ODP). 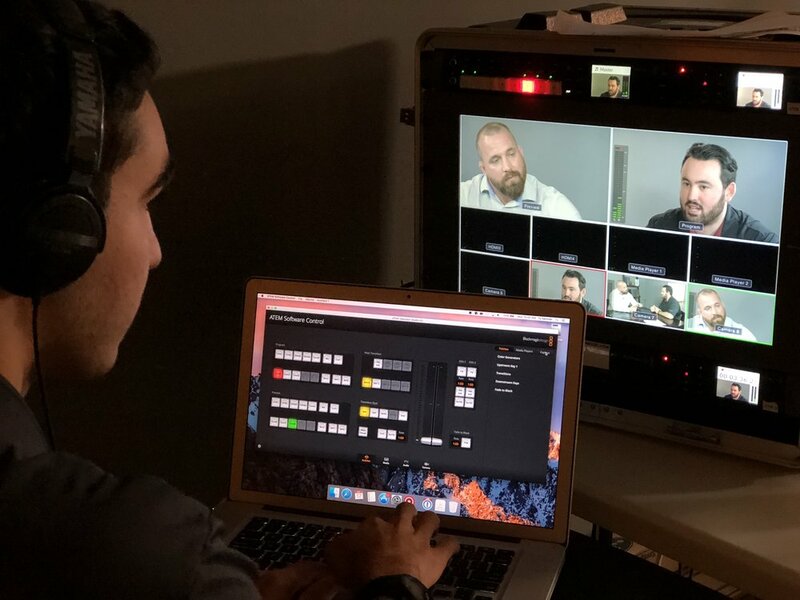 The team at Focal Point used the TriCaster TC1, three cameras, a wireless intercom system, tally lights, Vidpresso (for social media graphics), a Teradek Cube, and much more. As a Baltimore video production studio, we often get asked to record training videos. But recently we took a different approach to producing training videos for a local consultant. The client wanted to record four training sessions, each with two people, three cameras, and multiple teleprompters. For most videographers this would be extremely challenging and time consuming. Blackmagic video switcher showing the 3 camera angles. But because Focal Point Productions specializes in live streaming and multi-camera productions, this was easy. We used our Blackmagic video switcher kit. This allowed us to switch in-real time between all the cameras. Now, instead of taking weeks or months to edit these training videos, they'll be edited in a few hours. Focal Point Productions recently hosted doctor's from Chesapeake Urology and recorded several patient education and promotional videos for new treatment options. Having a Baltimore video studio allows Focal Point Productions to the ability to produce videos training videos easily and cost effectively. Dr. Marc H Siegelbaum in studio recording a promotional video. 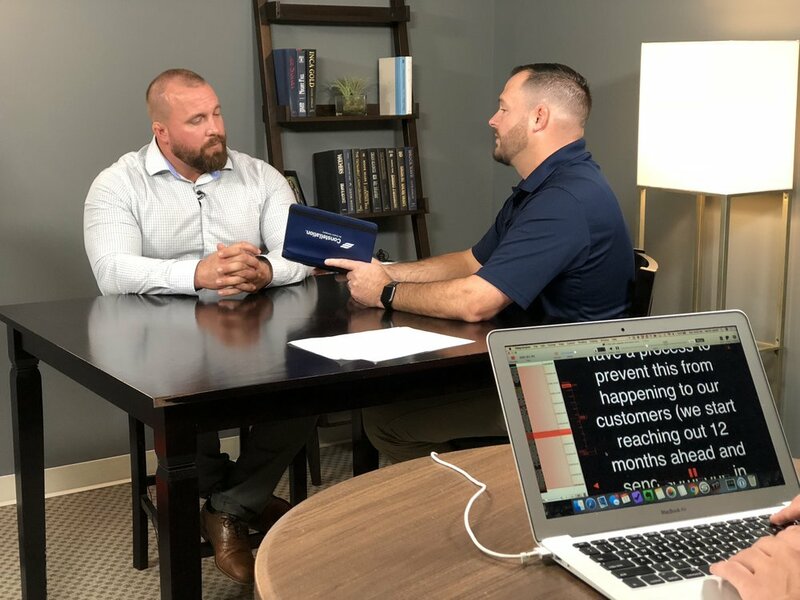 On June 27, 2018, Focal Point Productions live-streamed a Facebook Live webcast for MedStar Health. The production was held at MedStar Union Memorial Hospital's Transradial Cath Lab and was hosted by WBA-TV’s Megan Pringle. The one hour show was split into two-segments, and featured interviews with several different doctors, informative videos, and questions from the online audience. To ensure a smooth production, Focal Point's crew of 6 people used three video cameras on tripods and one free-roaming camera. By using a video switcher called the Tricaster, the team was able to switch between camera shots, add graphics, play videos, record a high quality master and live stream.. The video was streamed live to MedStar’s Facebook page. As people asked questions, the producer was able to send the comment to the host's laptop teleprompter. Simultaneously and isntantly, the comment was turned into a graphic and inserted into the video. The webcast had a peak live audience of fifty viewers. By the next morning the video had reached 5,381 people; 3,756 minutes viewed; 1,200 unique viewers; and 232 post engagements. Focal Point Productions recently produced several medical promotional videos for Chesapeake Urology. The videos feature three care providers discussing a new treatment being offered for women. The series will be released on Chesapeake Urology's YouTube account, Facebook page, and website. In this production, the team used a Canon C100, teleprompter, four lights, and a boom microphone. Each shoot lasted just over two hours, including time for set up, breakdown, and the actual recording.